Sometimes we do feel a need to hide SharePoint Lists. Following are few ways which could some in handy while trying to achieve this objective. 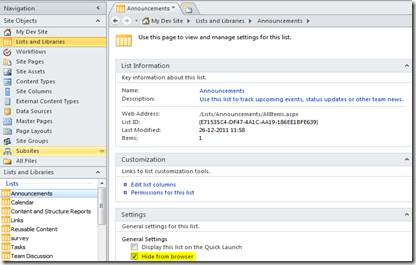 Start SharePoint Designer and open your site.